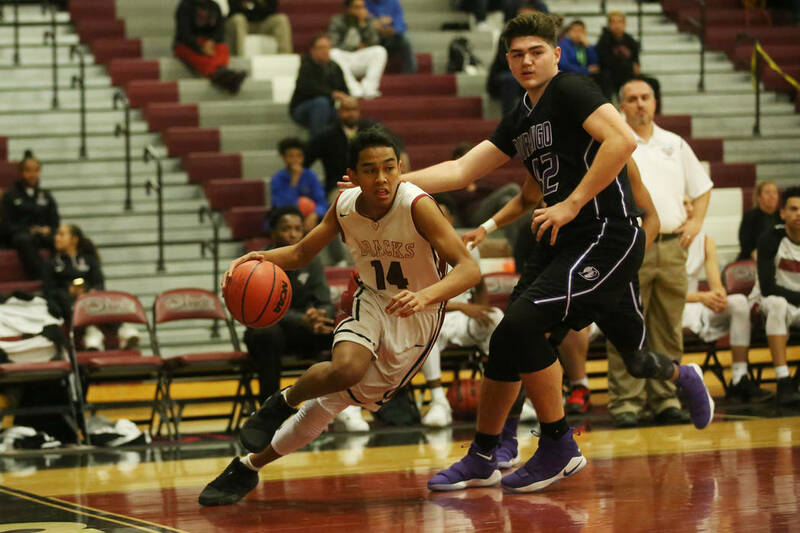 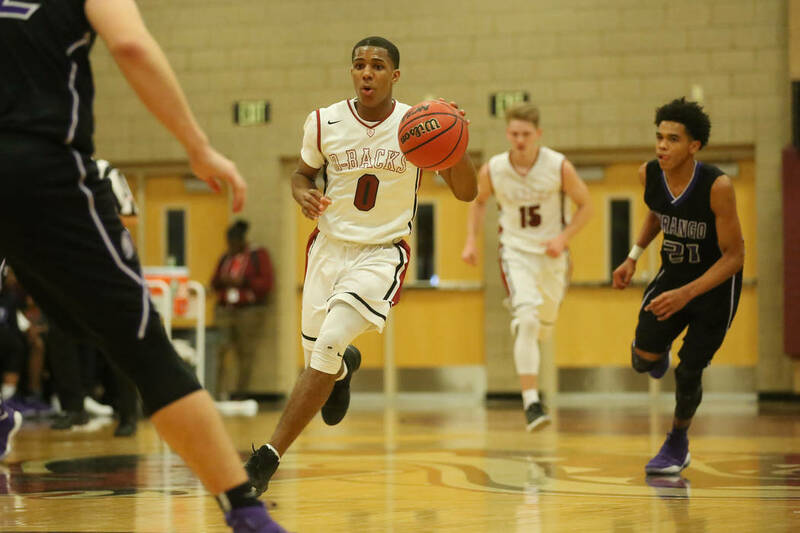 Desert Oasis had three players score 20 or more points and rolled to a 93-77 home win over the Trailblazers. 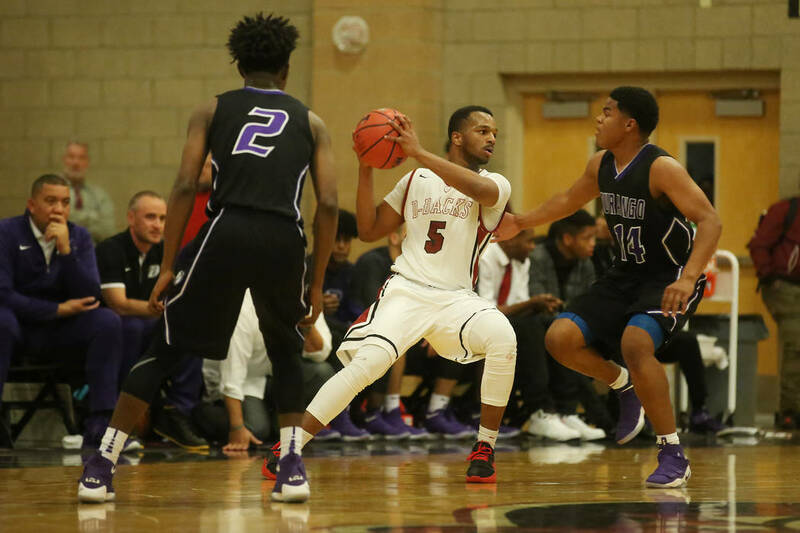 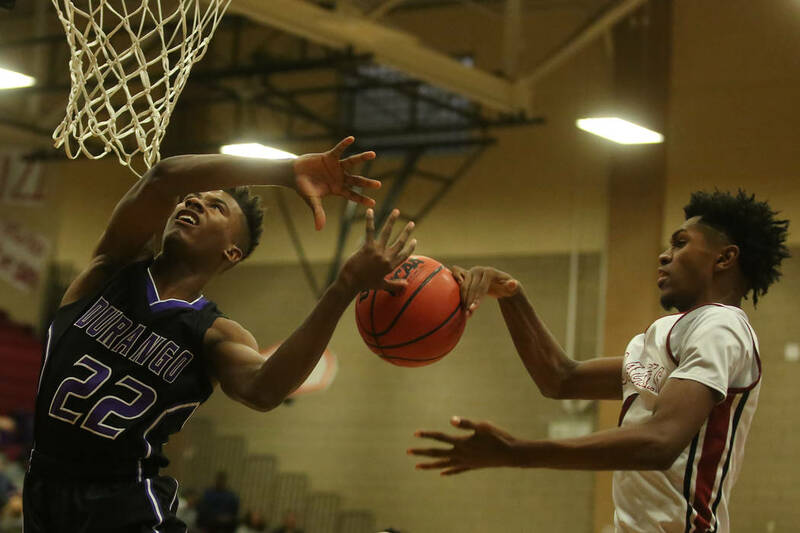 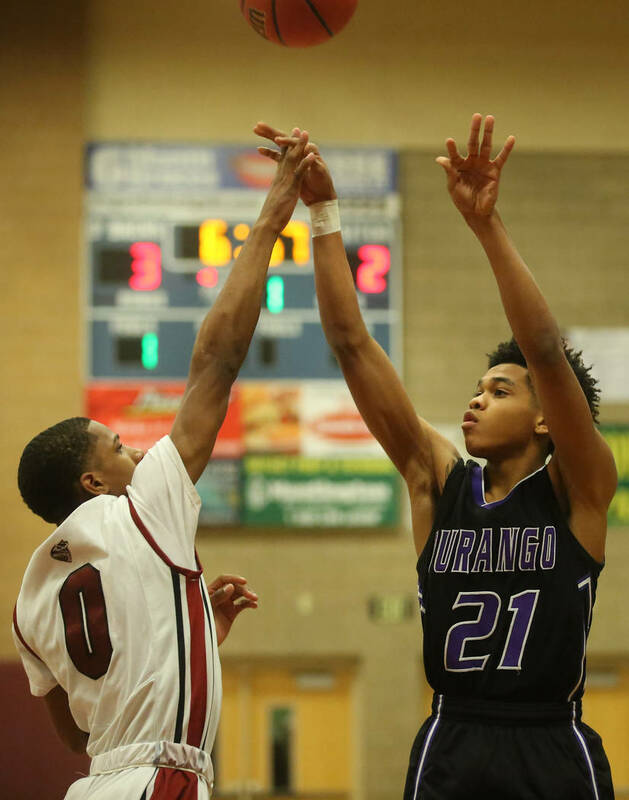 Durango’s Anthony Hunter drove against tight defense, spun, hung in the air and flipped a circus shot over his head and into the basket to cut Desert Oasis’ lead to 13 points early in the fourth quarter. 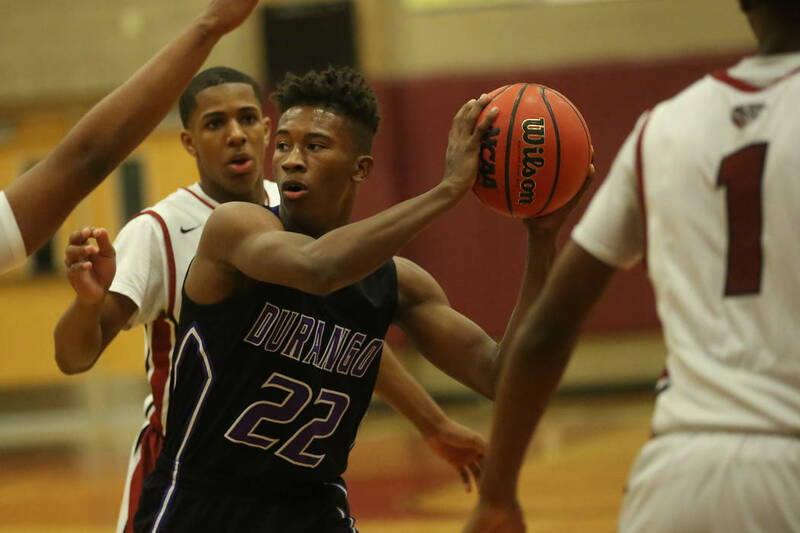 It took the Diamondbacks all of eight seconds to answer, as Kamari Burnside drove for an easy layup. 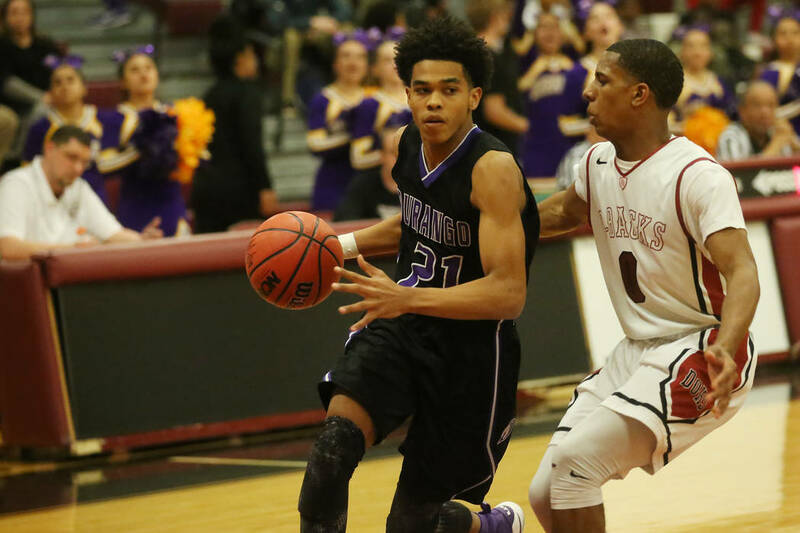 It was a sequence that said volumes about Wednesday’s Southwest League opener for both teams. 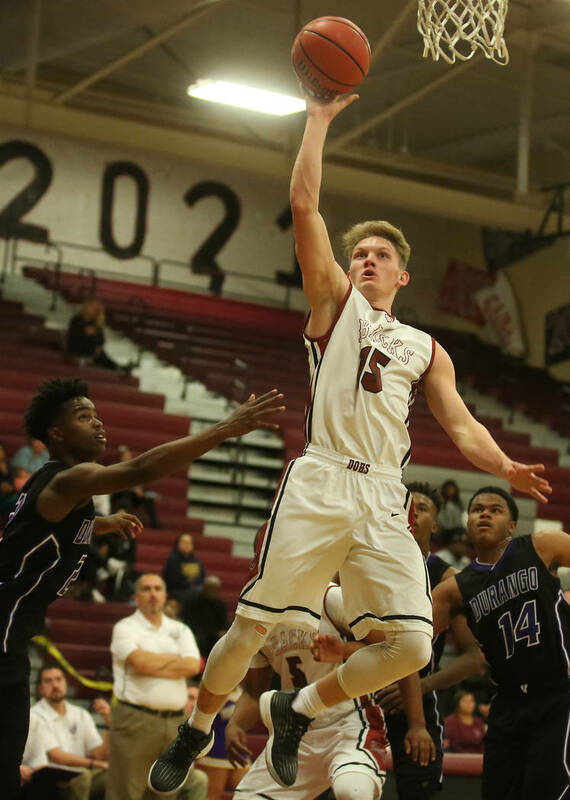 The Diamondbacks opened the game on a 22-4 run and controlled throughout as Burnside, Jacob Heese and Nate Van combined for 74 points. 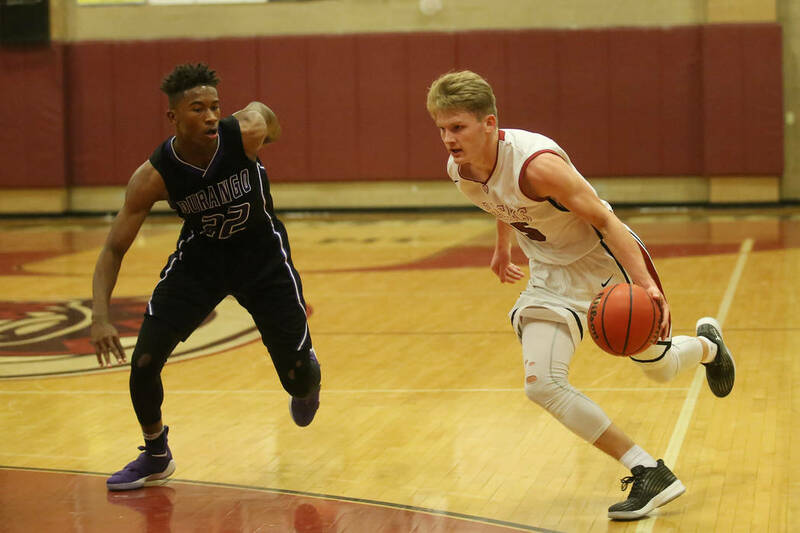 Heese, a returning all-state player, led the way with 29 points, but guards Van (25 points) and Burnside (20 points) were key in holding the lead. 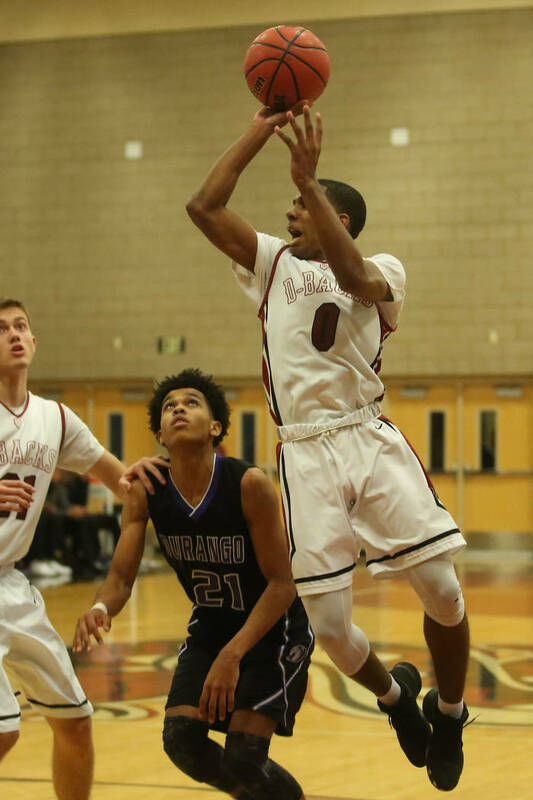 Van knocked down three 3-pointers, and Burnside was able to get into the lane and finish around the basket. 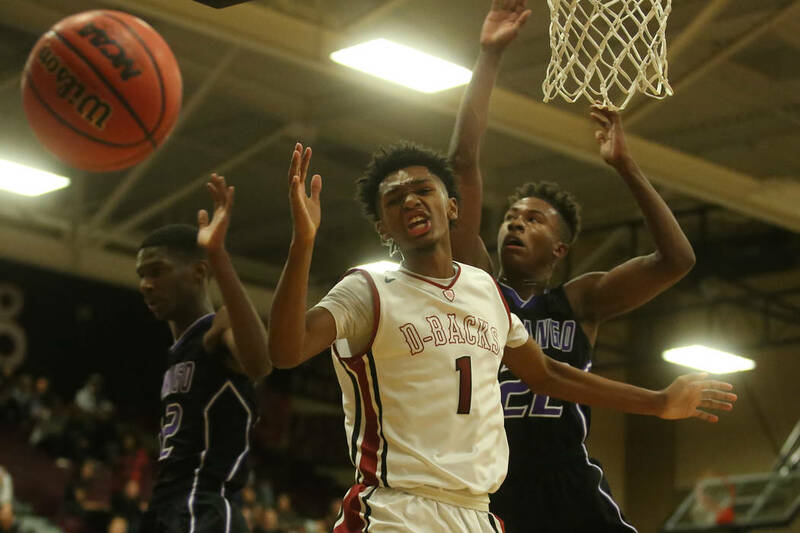 Heese was key as well, scoring 14 points in the first quarter to help the Diamondbacks run out to a 25-9 lead. 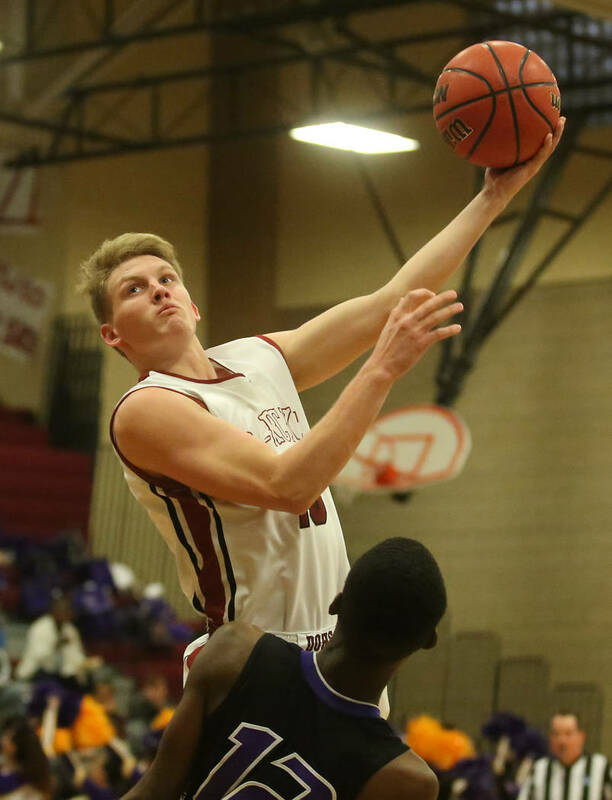 Heese finished with 17 rebounds, three assists, two blocked shots and two steals. 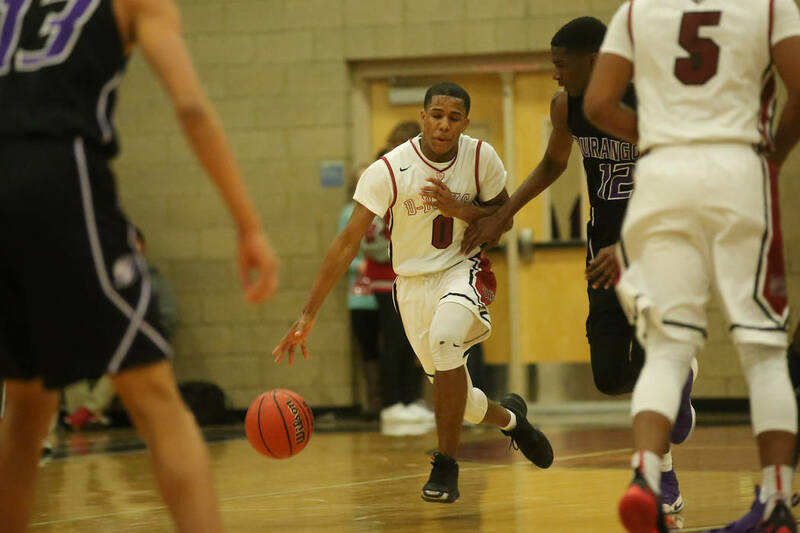 Manny Mitchell added 12 points and 10 rebounds for Desert Oasis. 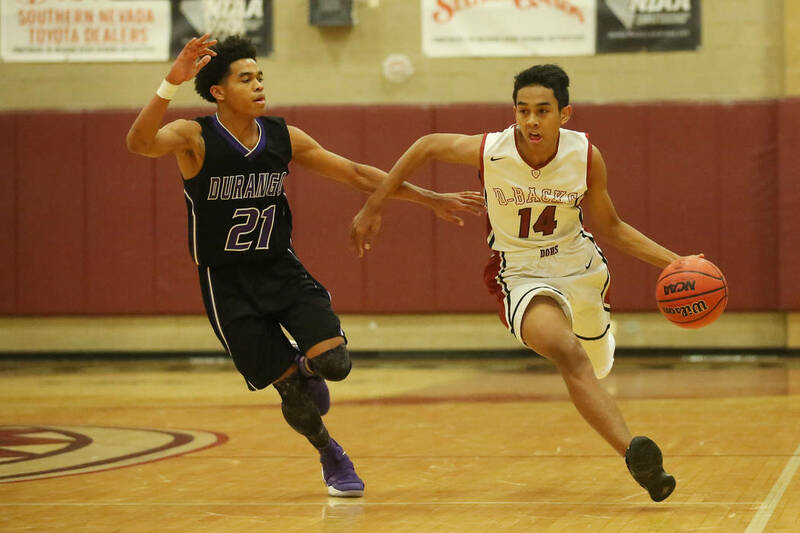 Hunter scored 21 of his 23 points in the second half, but he and his Durango teammates seemed to work twice as hard as Desert Oasis for every shot. 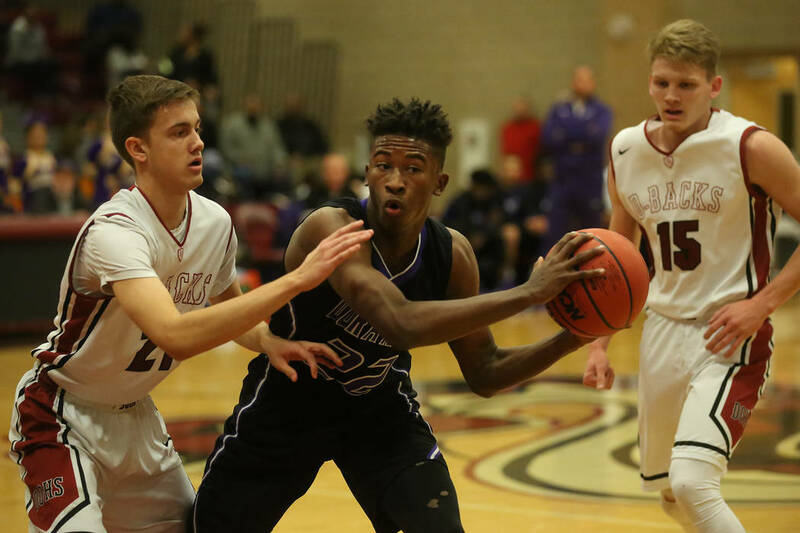 Vernell Watts scored 23 points, including 14 in the first half when Hunter spent the final 9:05 on the bench after picking up his third foul.